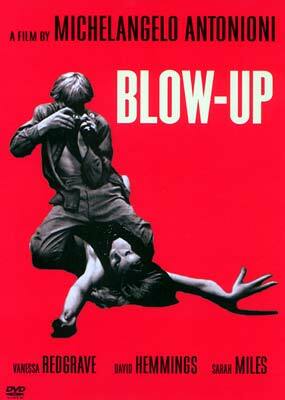 Check out Monkeysquirrel's comments on Blow-up (1966) (Mandatory viewing for all photographers, for those who haven't already seen it). Don't you just know what he means? I feel the same way. Probably always will. Nikon F w/50mm f:1.4 as I recall. Actually it weighs less than a current Professional quality DSLR. Heh. As a ham radio operator, our portable handy-talkies used to be much beefier back in the day than they are now. Often, they were re-purposed surplus police radios, Motorola HT-220's. These radios certainly had heft, and were used in more than one instance to quell a suspect by clonking them over the head with their radio, then using said radio to call for backup 8-). I have owned multiple modern AF cameras. And every time I go out of the house, I just want my FTn. If someone would make me a 4MP back for it, I'd never need another camera, ever. "....I can tell myself that all that really matters is how the pictures turn out, but that's like saying that cars are only about getting you to work on time...."
Who was it that said "The nice thing about a Leica is that you can always hit someone with it if necessary, and it'll still work....................."